At DIAMOND CUT GARAGE FLOORS we've built our livelihoods on installing custom garage epoxy floors in people's homes. From the simple to the lavish, we've experienced it all and we can help you every step of the way. No garage floor coating job is too small or too big for our knowledgeable crews. Our company is located in the beautiful city of Frisco, Tx. We have lived in Texas going on 12 years now and have never looked back. Prior to coming to Texas and making it our home, we lived in Saudi Arabia, Japan and various places in Asia. We've enjoyed the laid back life of Texas and love the loyalty, honesty and spirit of Texas and Texans as a whole. This is home now and we look forward to many, many years to come. As a local business here in the Dallas Metroplex, we will give you the best product, installation and customer service you deserve. We look forward to working with you and your family and giving you the best garage floor you've ever seen. Whether you've been planning a garage floor covering for months or just realized it's something you now need, our product, Amazing Garage Floors, can be installed in just a day or two. It’s the most advanced, long-wearing garage floor coating finish of its kind, with an unbeatable limited lifetime warranty to prove it. Amazing Garage Floors™, installed in a day or two, isn’t just another pretty face. It’s the most advanced, long-wearing floor finish of its kind, with an unbeatable limited lifetime warranty to prove it. Using the most technically advanced materials available. Amazing Garage floor coating provides a superior finish and durability over other epoxy products, for a floor that’s beautiful, long lasting and easy to maintain. Amazing Garage Floors coatings are suitable for virtually every application, and are ideal in any location that requires added durability, quick clean-up, traction, and visual enhancement. 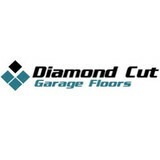 Diamond Cut Garage Floors is family owned and operated. You will see myself, my son or even my daughter on occasion (she's quite good) on installations. French-Brown is one of Dallas' top showrooms for wood floors and tile, including decorative ceramic, glass, stone, and concrete tile. Give us a call or visit our showroom at 7007 Greenville Avenue in Dallas. We are open Monday - Friday from 8:30 - 5:00. 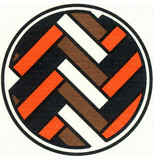 French-Brown is a family-owned business and was founded in 1952. We are proud to have second- and third-generation family members in the company today. We not only do work in the Dallas-Fort Worth area, but also all over the United States. Our installation and finish crews are known for their pride and expertise. French-Brown is a member of the World Floor Covering Association and has an A+ rating with the Better Business Bureau. 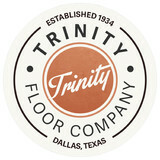 Established in 1934, Trinity Floor Company is the oldest flooring contractor in the State of Texas. In partnership with Carpet One, the largest floor covering buyer in the world, we offer you the highest quality flooring products and our commitment to superior workmanship and customer service. Our extensive portfolio of flooring products and customer satisfaction on remodeling and retail jobs is unsurpassed in the DFW Metroplex. *Authorized Dealer of Regal Hardwoods* The Eclectic Flooring Company was created with the understanding your personal taste is as unique as your fingerprint and should be reflected within your home. Our company is backed by decades of experience in the wood, tile and carpet industry; providing outstanding installation and service to the top home builders, home remodelers, homeowners, and interior designers in the DFW area. Founded by Jason Goodwyn who is a fourth generation business owner in the Dallas-Fort Worth Metroplex. Jason’s great-grandfather was a cotton farmer with a local dry goods store. His grandfather spent 20 years in flooring manufacturing before opening the family's first retail flooring store with his sons. Since then generations of the Goodwyn family have served the metroplex in the flooring industry for more than 30 years. The Eclectic Flooring Company is the culmination of exciting, new ideas and a tradition of excellence developed after completing thousands of home design projects in DFW. Winston Floors + Countertops has been in the floor covering business for over 30 years, serving Plano, Texas and the surrounding area since 1982. Winston Floors provides a broad selection of products including authentic hand scraped hardwood floors, engineered wood floors, porcelain and natural stone, carpets of all textures and patterns, custom in house rug binding and a full line of granite, quartz and quartzite countertops with a wide selection of backsplash options in all of the latest styles. Winston Floors' team of highly talented installers are experienced and professional, taking pride in each and every job. Service and attention to detail has served them well with the majority of their customers coming from referrals. Winston Floors has won several awards from Houzz, Angie's List, Good Contractors List and is a Better Business Bureau accredited business. Customers can call the office to set an appointment to visit the showroom or take advantage of their in home service. The consultation is free along with assisting clients in making the right decisions to fit their needs. Winston Floors is also a Premier Dealer for Cambria. Finance by Cambria allows you to finance up to $75,000 for your entire remodeling project. Just start with Cambria countertops and the rest is up to you! At OaKline Floors, we have spent the last decade developing deep industry relationships that gives us the knowledge and ability to source unique, premium quality products from trusted manufacturers and mills–and at a fraction of the standard price. We understand the styles, tastes and needs of the people we serve and we always walk away from a project with pride in creating something truly beautiful. Upward Flooring LLC is a locally owned and operated flooring business in North Texas. Our mission is to make the purchase of your flooring materials and the installation process be an enjoyable and stress free experience. We truly value the relationships we build with our customers, we will be here to to answer your questions before, during and after the sale. Wood Floors Of Dallas is more than just a flooring company. Our expertise stretches to all aspects of professional flooring installation as well as kitchen and bath remodeling. If you want the expertise of over 10 years of experience in the hardwood flooring and remodeling business, then you have come to the right place. With the right knowledge and the right people, you can trust Wood Floors of Dallas to complete your job on time and within budget to your complete satisfaction. We are a personable small business. I personally meet with you, the customer, at your home or office to go over your needs and wants to ensure we deliver exactly what you want in your new flooring or remodeling project. Our business is based on satisfied personal referrals. We want you to be one of those referrals and cannot wait to meet you and help you create the home of your dreams! Visit our Facebook page to see what we have been up to lately, and be sure to like our page. 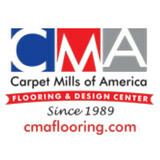 CMA Flooring & Design Center is the premier flooring company serving the Carrollton area. We are dedicated to providing our customers with exceptional customer service and the highest quality flooring options available. From stunning hand scraped hardwood, engineered hardwood, luxury vinyl plank to high quality ceramic tile, porcelain tile, natural stone products and carpet, you’re guaranteed to find the custom look that meets your needs and budget. Also specializing in kitchen and bathroom remodels, our showroom displays an extensive selection of mosaics, accent tiles, quartz countertop options and Waypoint cabinets. Need new window treatments as well? We offer Hunter Douglas blinds and shades as well as custom fabric window treatments! Wallpaper is back in style and we carry several lines to suit your personal style. Whether you’re looking to replace existing carpet or need to tear your bathroom down to the studs, let the professional installers and in-house designer at CMA Flooring & Design Center assist you with your new flooring or remodeling projects. In an industry where honesty and integrity set the tone for success in a customer's vision, Nortex Custom Hardwood Floors was founded on these principles. Nortex delivers hardwood flooring along with the highest level of service possible at a price you can afford. We specialize in new installation, sand and finish, handscraped, refinish, and recoating. Nortex maintains general liability insurance and our crew is composed of dedicated professionals with years of experience in the hardwood floors industry. We offer a 1-year product/install WARRANTY on labor and materials to provide a solid peace of mind and individual comfort when making your flooring purchase. Nortex Custom Hardwood Floors is built on three working principles: I. Building a relationship with the customer so you WANT to work with us. II. Building your specific flooring project knowledge and trust so YOU know more about what you are buying. III. Building a customizable price to fit your individual budget. Residential customers, custom builders and re-modelers in the neighborhoods of Dallas and surrounding areas have chosen Nortex Custom Hardwood Floors for their flooring projects. We have the confidence of every client. It is through our creativity and professionalism that Nortex has made a growing impact in the industry. 2X Best of Houzz Award Winner for Service! Carpet One has been handling the flooring needs of customers in the DFW area (showrooms in Southlake, Arlington, Fort Worth, Frisco, & North Richland Hills) for decades including hardwood floors, carpet, tile, vinyl, laminate, and even rugs. We work with an extensive network of installers -- so we’re able to offer our customers convenient, affordable flooring services. Whatever your style may be, from modern to traditional to farmhouse, we can make sure your floors provide a perfect match. We work with many different flooring materials, whether you are in the market for carpet, tile, hardwood, laminate or vinyl flooring. If you’re not sure what materials or colors are right for the area or areas of your home that need new flooring, just ask us for recommendations -- we have many years of experience pairing wood and carpet colors with the walls and other colors of the home for a beautiful result. For flooring sales and installation in the DFW area, as well as damage repair for your existing flooring, give Carpet One DFW a call or stop into one of our seven neighborhood flooring stores and showrooms today! Floor N More has been in business in the Fort Worth Metroplex since 2004. We are a prosperous growing company vigorously penetrating the flooring industry market due to our expertise, open-mindedness, and desire to bring a difference in your life. Our success is built on trust, respect, and ability to listen to our clients, ensuring understanding and fulfilling your needs. CW Custom Flooring is a leading flooring company that provides both a retail and wholesale unique shopping experience. Our objectives are to provide you selective offerings, design support, product visualization and superior installation services. Since CW Custom Flooring only works with the highest quality products and ensures that the flooring you purchase will meet your satisfaction completely. Our company provides a “design studio” atmosphere where you can bring samples of your other room elements and, while utilizing our professional interior designers, confidently select from our palette of products to complete your project. We offer a shopping experience that completely transforms the process of selecting, purchasing and installing flooring and wall-covering products. With over a decade of experience, CW Custom Flooring is your one stop flooring company for the Dallas / Fort Worth metroplex. Classic yet contemporary, hardwood floors are one of the most beautiful types of flooring a home can have. However, if not installed correctly or damaged, a floor can threaten a home’s entire interior aesthetic. That’s where Carrollton, TX hardwood flooring installers and dealers step in. Whether you need a hardwood floor installation or replacement, or just want some guidance on the types of hardwood flooring available, these Carrollton flooring pros can help. What kinds of services do hardwood flooring installation professionals in Carrollton, TX provide? Find hardwood floor experts in Carrollton, TX on Houzz. Search the Professionals section for Carrollton, TX hardwood flooring installers and dealers or browse Carrollton, TX photos of completed installations and look for the professional’s contact information.